The Forbidden City in China sits on Tiananmen Square in Beijing. 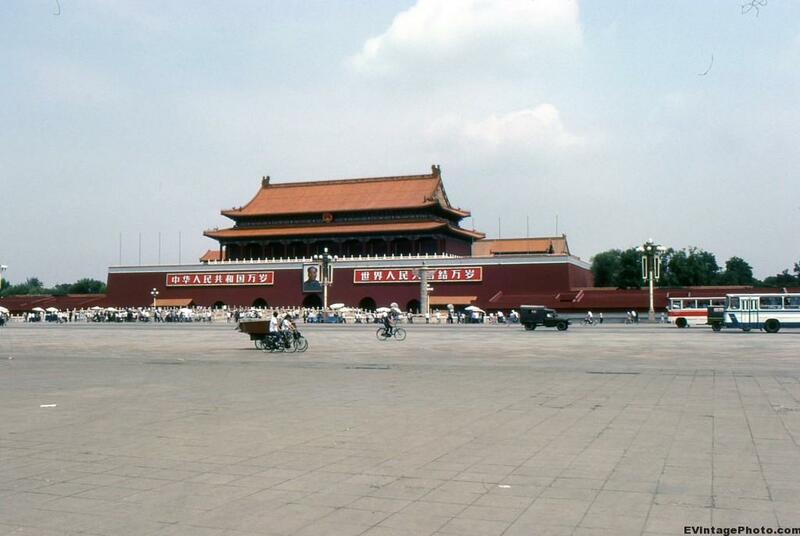 This picture is of the Tiananmen gate and gives a good view of the square here. Behind it is the Meridian Gate which is the southern entrance of the Forbidden City. Until I was looking up this picture, I didn’t realize that the Forbidden City is on Tiananmen Square in China. So that means that only eight years after this picture was taken, this area was full of protestors and the Chinese Army. The Chinese Emperor lived here for almost 500 years, during which time it served as the political center of the Chinese Government. Built between 1406 and 1420, the huge complex of wooden buildings covers just under eight million square feet. In 1925 the Palace Museum took over the Forbidden City, including it’s art and artifacts. These are now on display here and at the National Palace Museum in Taipei. The Forbidden City was declared a World Heritage Site in 1987.